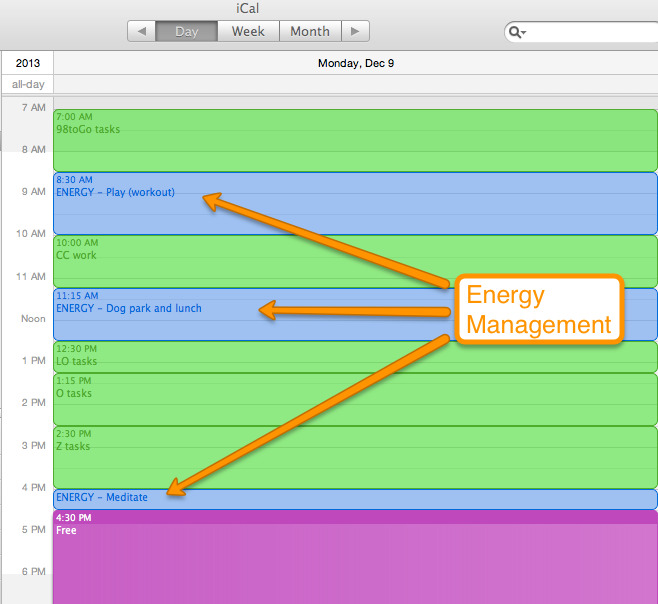 We all want to be more productive. Since adding time to the day is impossible, we try to squeeze more out of ourselves each day in ways that are honestly pretty terrible for our bodies (and believe it or not our productivity too). Many of us have pulled all-nighters once or twice, grabbed coffee at 2pm to get over the midday hump, taken a power nap that turns into a power slumber, or done other things to try and get more out of ourselves. But these methods are neither sustainable nor enjoyable (except maybe napping). What Makes Online Business Blogs Work? So, we like to talk a lot here about the importance of business blog writing, and we like to think we provide some useful tips from time to time. However, for a newcomer to inbound marketing, a lot of this blogging business can seem pretty strange and obscure. 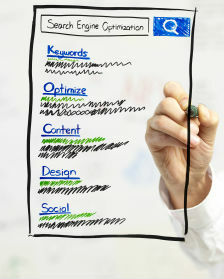 One of the oldest and most reliable forms of online marketing happens to be paid search marketing. We've all seen it in action: PPC and CPC campaigns to attract new customers, build brand recognition, and competing for those coveted keywords. The realm of search marketing has become such a staple in Internet marketing that paid search experts and professionals can be employed to take care of your entire search marketing campaign. The world of SEO content writing is changing, but as far as we're concerned, it's for the better. You may have heard stories online in the past few months about how the changes to inbound marking by Google, have caused significant difficulties for online marketers. 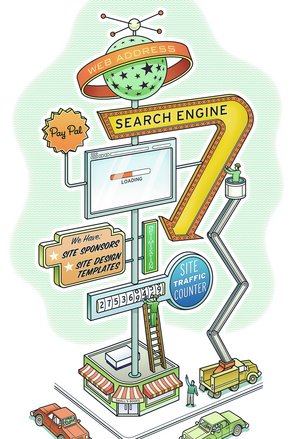 Some people have even gone so far as to try to claim that Google wants to "kill" SEO. 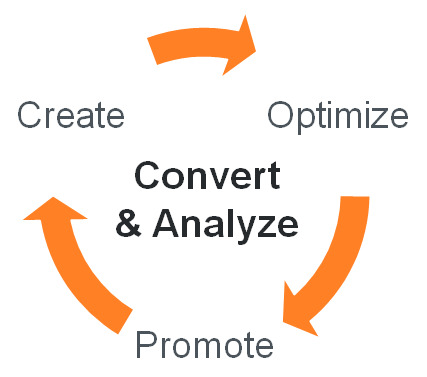 Outbound Is Out, Inbound Marketing Is Here! As we like to remind people, the inbound marketing industry is constantlychanging. Trends shift and mutate quickly, and changes in certain areas can cause massive, unexpected ripples in the proverbial pond. Google Penguin has made that big of a splash. This is a new initiative by Google to change the way their search rankings are calculated, and if you haven't heard of it yet, it's high time you do so. These are the sorts of trends you need to stay on top of if you're going to make it in inbound marketing. Google Penguin is a series of updates that Google made to their search algorithms aimed specifically at enhancing the quality of content found in Internet marketing. These are mostly intended to undercut companies attempting to utilize grey- or black-hat SEO techniques that trick Google's ranking system. Google estimates that roughly 3% of searches in English are ultimately affected by these updates. 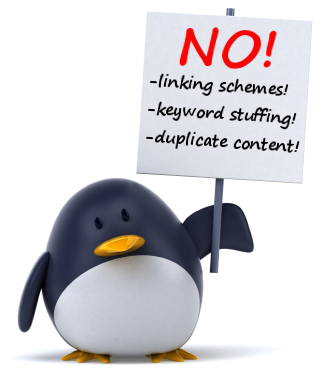 What Effect Is Google Penguin Having? Google isn't pulling punches with Penguin. In one high-profile example, Overstock.com got hit hard. The short version is that Overstock had been trading college kids store discounts in exchange for inbound links and saw their search rankings crash overnight after Penguin noticed this. Once they ended the program, their rankings rebounded nearly as quickly. This is causing a lot of worrying in the inbound marketing industry. Some who defend "black hat" techniques say it's putting them out of business, which it hopefully is. More commonly, people fear accidentally incurring the wrath of the Penguin without knowing how or why. First of all, it's currently unknown exactly how many people are getting unfairly penalized by Penguin. There is little doubt that it is happening to some extent, but the reports have largely been like that one: totally anecdotal, without any real studies into how many such claims are accurate. We've said it before, we're saying it now, and we'll undoubtedly have to say it more times in the future: Content is King when it comes to inbound marketing. If you're designing website content that people don't want to see or don't have an interest in, your SEO efforts are not going to yield the results you're looking for. 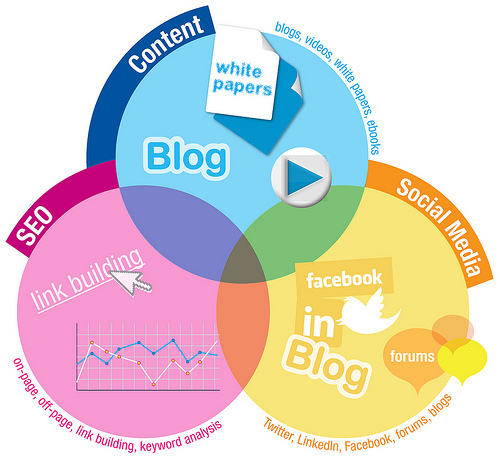 Now, second-tier inbound marketing strategies like link-building and keyword optimization are certainly important pieces of the puzzle, don't get me wrong. However, at the end of the day, it is your content that will almost single-handedly decide whether you're converting visitors into sales, or into bounces. The key to this is focusing on the User Experience (UX) when designing website content. 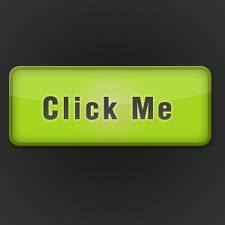 The more friendly and compelling you make your site, the more visitors will hang around to buy something. To focus on the user experience, you must first know who your customers are. UX is really all about looking at your site and your content through your customers' eyes, to try to gauge how they will see it. The best way to do this is to create a series of customer profiles, to try to get an idea of your customers' views. What's their average income and education level? Why do your products appeal to them? What are their political or social inclinations? What other products / companies do they like? What interests do they have outside of your industry? Your customer profiles can be as broad or narrowly-defined as you want, but fundamentally, they should give you an at-a-glance idea of who your average customers are and what they want out of you, and out of life. Then you can start designing website content that appeals to them specifically, rather than throwing spaghetti at the proverbial wall. Content breaks down into three simple concepts that embody good content design: Quality, Relevance, and Value. Remember, these are all entirely subjective ideas, and what really matters is how your audience responds to them. Quality: This should be self-explanatory, but it bears repeating: If your content offers no interesting or new ideas, you're going to have a hard time selling it to skeptical customers with an entire Internet of content to choose from. 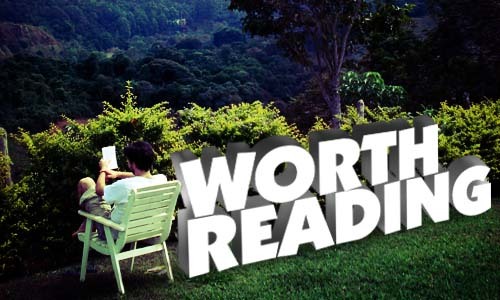 Don't forget that your approach or writing style can also be a part of this. Just look at the success Woot! has had with its postmodern and often self-deprecating comical sales blogs. They knew there really wasn't anything new to say about selling TVs or T-shirts, so they found a new way to say it instead. Relevance: Here's where your customer profiles really come into play. Your content should be picked, as much as possible, based on what your customers want to see rather than what you want to talk about. Of course, in the best case scenario, these two ideas go hand-in-hand. That's what breeds the best blogs. Value: Especially when it comes to a Call to Action, you should always remember that modern customers are absolutely aware of the value of their personal information. Even if your video or eBook is free in terms of money, customers know that they are still trading a commodity when they give you their email address or phone number. As such, your content needs to be compelling enough to make them want to complete that transaction. The entire UX philosophy really can be summed up by saying, "Look at your site through your customer's eyes." Focus on designing website content that appeals to them, and you'll have a successful site. What tricks do you have for keeping the customers' needs in focus? A whole lotta love. 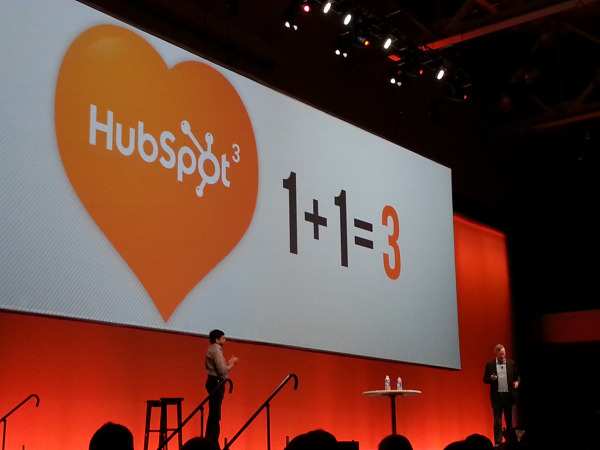 HubSpot 3.0 is about the magic and the love. Bringing out new parts to the tool to make our lives easier for use using it but having those tools work in concert with each other is where the real magic happens. Just like Amazon makes your personal shopping experience tailored to you and Apple makes for a happy experience combining the hardware and software, HubSpot 3 will change the game for Inbounders. Imagine sending targeted messaging when someone triggers what you deem important. Hitting your twitter feed, being a customer and landing on a product page can now trigger an event to give this contact a special offer regarding the product page they just hit. Now that combination is really special and one clients and marketers will love. So we are listening to the David Meerman Scott, teach us how the greatest live band of all times (The Greatful Dead). They used inbound marketing before that term was coined by catering to those that wished to record them live. No other band would tolerate that yet The Dead invited it. We found that in a room of over 2000, that nearly 75 had seen their concerts over 50 times and one women 178 times. Staggering numbers. During the presentation David began to talk about Cyndi Lauper who surprised us all by showing up on stage, then performing a great tune. That gave a twist of fun that nobody knew was coming. Of course the grand entrance on Day 1 with Brian and Dharmesh was fantastic. They filmed the two coming in on Helicopter that showed the incredibly beautiful city of Boston and they had their orange suits on with the loud throbbing music of Thunder from AC/DC. That rocked and was such a thrill to witness live. As a HubSpot client and a Value Added Reseller, the information provided at the breakouts was worth so much more the price of admission. The ideas alone will expand my personal business in terms of hearing the keynotes, the break out training, the prodigy bar of IMC that provided valuable insights, the sponsors and their cutting edge brand new break through coming out (mobile being the no brainer) and the insight from so many other HubSpotter’s that seem to synergize and all about helping each other win. I believe this event will make my companies well over 100 times what I paid for my ticket over the next year. How about that for an ROI! Based on what I saw and learned, I predict there will be 10,000 people that will be in attendance at the 2013. If you did not feel the energy of being there, I’m telling you straight up that it was electric. The energy was high and you knew you were apart of a movement. This marketing movement is on the cusp of a complete transformation and YES; the movement is to Inbound Marketing. The numbers are just too compelling to ignore. 86% do not watch TV commercials, nearly everyone at inbound has DVR or TiVo. A great stat by Gary V was to just look around next time you are driving. Nearly half are texting on their phone. Very scary for sure but who the heck is looking at billboards? 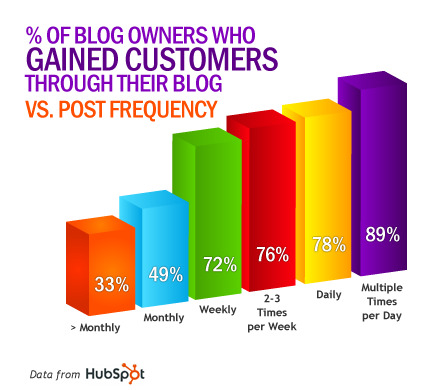 65% have acquired a client through their blog. Just 2 years ago there was only 400 at the Inbound 2010 conference, 2800 this year! Think about it, most of us have touched base this year with someone in our past that have not talked to that person in over 10 years. The power of social, the power of inbound and the power of content is changing the game. This movement is staggering and one that all other marketers should seriously pay attention to. Advice Buy HubSpot now before pricing goes up and learn about this tool and how to use it for your business. I received piece of mind and you should too. You will be so glad you did. Thank you everyone who I met at Inbound 2012. You all were incredibly kind and I learned so much from all of you. See you next year for sure!